so beuatiful! vintage details are perfect! Simple yet chic outfit! Love those brogues! 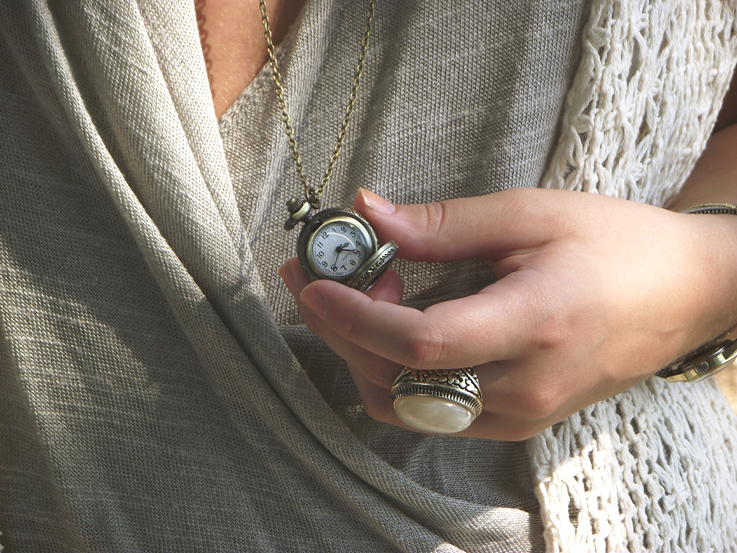 Great outfit, my favorite items are the glasses and the clock necklace! Hi! thanks for visiting! Your blog is really nice!! And i think you have a great style!! Great glasses and shoes are sugar on top! Passa se vuoi,ho un nuovo post! love your sunglasses and necklace! Un bacio da AIX EN PROVENCE. so glad you like my blog! you have fantastic style... i just adore those shoes! Your outfit is perfect! I love it!!! You look so chic! Lov the cardigan and brogues! Love the shorts and the shoes! Nice style. love such necklaces. :) they are super cute! but the most amazing are your sunglasses! loving them. cute outfit love the whole color scheme of it! Se ti va passa a trovarmi su www.ladolcemoda.it, anch´io amo follemente la moda in tutto e per tutto! Nice outfit..love the Crochet cardigan! And the glasses are just too cool! thanks all of u guys:)soon i'll pass on your blog.. I love the clock necklace. I am loving your necklace & sunglasses!! Thx to your comment, i follow you ! 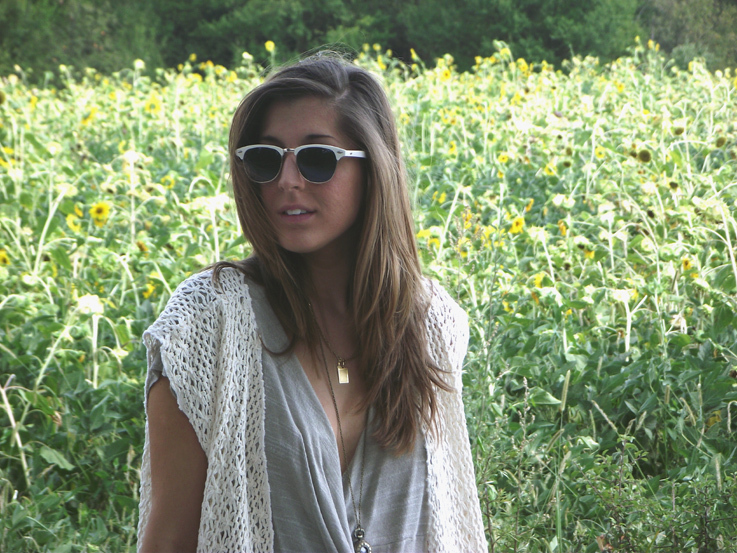 Hi lovely, thanks for stopping by ;) You've got great style and love your blog. I'm definitely following! wow I love this look of yours...so cool and peaceful and lounge-y you look...love it!!! Sorry for following you a little late...loving your blog!!! Cheers!! !